The SNAP test, LacTek test (B-L and CEF), Charm Bacillus sterothermophilus var. calidolactis disk assay (BsDA), and Charm II Tablet Beta-lactam sequential test were validated using antibiotic-fortified and -incurred goat milk following the protocol for test kit validations of the U.S. Food and Drug Administration Center for Veterinary Medicine. SNAP, Charm BsDA, and Charm II Tablet Sequential tests were sensitive and reliable in detecting antibiotic residues in goat milk. All three assays showed greater than 90% sensitivity and specificity at tolerance and detection levels. However, caution should be taken in interpreting test results at detection levels. Because of the high sensitivity of these three tests, false-violative results could be obtained in goat milk containing antibiotic residues below the tolerance level. Goat milk testing positive by these tests must be confirmed using a more sophisticated methodology, such as high-performance liquid chromatography, before the milk is condemned. 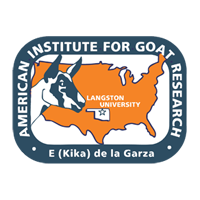 LacTek B-L test did not detect several antibiotics, including penicillin G, in goat milk at tolerance levels. However, LacTek CEF was excellent in detecting ceftiofur residue in goat milk.